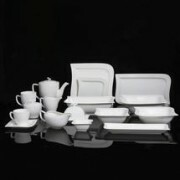 Choose style of dinnerware Arcopal, Chelsea, Royal Albert. When it's your event, selection, quality and service matter.We take party & event rentals seriously. Our inventory is broad enough to match the tastes of all our discerning customers and deep enough to support large corporate events.